Blacktown City FC swept aside Marconi Stallions in their Major Semi Final at Lilys Football Centre on Sunday afternoon to book their place in the Grand Final this week. Meanwhile Sydney Olympic continued their dream run with a comprehensive 5-1 defeat of Sutherland Sharks at Sydney United Sports Centre on Saturday night. Goals from Juan Zapata and Eoin Montford gave the Premiers a 2-0 lead at halftime, before Zapata struck again in a closely-fought second half to secure a relatively comfortable victory for the Premiers. Marconi won two early corners but both were cleared downfield as Blacktown looked to find their feet after enjoying an extra week off before their first match of the finals series. Any fears of rustiness were quashed inside the first four minutes, when Juan Zapata and John Grozdanovski combined just inside the penalty area to give the home side an early lead. Zapata played in Grozadanovski with a neat diagonal ball that the striker the held up well before dishing a pass off to Zapata, who continued his run towards the penalty spot and slotted a simple shot under Kristian Sekutkoski in the Marconi goal. The Stallions responded with shots from range from Ryan Peterson Noah Chianese, neither threatening Blacktown keeper Tristan Prendergast. Marconi appeared somewhat lethargic in attack, particularly in contrast to their efforts last weekend, when they beat Sutherland 3-2 in the preliminary semi final. Twenty minutes after their first goal, Blacktown struck again: Zapata won a freekick under pressure from Claudio Fabiano, and Sam Perre stepped up to hit a low, driven shot outside the wall and towards Sekutkoski’s exposed far post. The goalkeeper got down well to save the initial shot but could do little about the follow up after spilling the ball at Eoin Montford’s feet; the Blacktown player cleaning up with a tap-in to double his side’s lead. Unbeaten in their last fourteen matches and eager to stretch the run to fifteen, Blacktown sought to strike a balance between defense and attack as Marconi looked to mount a comeback. Sebastian Malfara cut a path from the right wing across to the top left corner of the box before laying the ball back for Peterson to shoot, but he sliced his foot across his shot and the ball slid high and wide. Keen to put a lacklustre first half behind them, Marconi started on the front foot again; enjoying early possession but struggling to string together passes in the final third to create a clear-cut opportunity for the forwards. Marconi tired fairly quickly in the second half – as they had in the first – and did well to hold their shape as Blacktown stormed forward in numbers in search of a third goal to kill the game off. Grozdanovski took the ball in his stride at the top of the box and hurdled a sliding defender as he took a touch towards Sekutkoski, but he wrapped his foot too far around his shot and dragged the ball across the face of the goal. Grozdanovski had another chances when he chased down a similar ball running towards goal just moments later, but found himself fighting with his own teammate, Juan Zapata, for possession; the two eventually sorting themselves out to send a ball through a crowded box to Sam Perre, who grazed the crossbar with a shot from range. Marconi continued to struggle against the tide and conceded again as the match passed the hour mark: Grozdanovski again held up play with his back to goal before turning and squeezing the ball across for Zapata, who ran onto the pass and poked home his second goal of the afternoon. It might’ve been four just minutes later when Sam Perre had a free kick on the right side of the box, but he whipped the set piece over the wall and again hit the crossbar, leaving Marconi still trailing 3-0. The visitors scored what amounted to little more than a consolation goal eight minutes from time: Jack Press carried the ball clear of the Blacktown defence and shot back across Prendergast, burying his shot through the keeper’s legs. Sensing that they might still have been in the game, the Stallions stacked their forward line and pushed for a second to put some pressure on Blacktown, but they left it too late: Blacktown were able to weather the late storm, and progressed to the grand final in two weeks’ time with a 3-1 win. Blacktown City’s John Carnevale was pleased with a job well done, and will look forward to a second week’s rest after booking a place in the grand final. “We had the week off, and it’s always a bit of an unknown how you’ll bounce back after a week off, but we came out strong and got a couple of early goals. Marconi coach Nick Dimovski will have been disappointed that his side could not harness the same energy that they showed in their 3-2 win over Sutherland Sharks in the preliminary semi final last Sunday, but will look forward to a second crack at a place in the grand final when Marconi take on Sydney Olympic next week. Sydney Olympic continued their dream run towards the PS4 National Premier Leagues NSW Men’s Grade 20s grand final with a comprehensive 5-1 defeat of Sutherland Sharks at Sydney United Sports Centre on Saturday night. Just a week after scoring three goals in Olympic’s epic 5-4 win over Sydney United 58 in their elimination semi final at Lambert Park, Adrian Vranic notched another hattrick as Olympic set about a first half demolition of the Sharks, heading into the break 4-1 up. Michael Trajkovski and Jack Green rounded out the scoring for Olympic while Bai Antoniou scored the only goal for the Sharks in their fifth straight loss, a disappointing end to a season that began with five straight victories. Next weekend, Olympic head to Lilys Football Centre to take on Marconi Stallions for a place in the grand final in two weeks’ time, where the winner will face Premiers Blacktown City FC. For a lot of teams, 2-0 is a gap too far to bridge, especially in the Major Semi Final when there is a second chance available. Not for Brian Brown’s Bonnyrigg boys. In remarkable fashion, Brown’s side secured a spot in the PS4 National Premier Leagues NSW Men’s 1 2015 Grand Final after a huge effort which finished with a 4-2 win against Blacktown City FC after extra-time. Two goals from Robbie Younis, including a pearler of a free kick in extra-time, and further goals from Mun-Soo Gil and Ray Miller secured the win in the most unlikely of fashion. Blacktown City superstars Danny Choi and Patrick Antelmi scored two brilliant goals to start the second half in the best possible fashion, but only four minutes later the game was turning into a nightmare. Choi gave an early taste of things to come when he set off on a mazy run after just six minutes following some superb hold up play from Joey Gibbs. The run ended prematurely when he appeared to be brought down in the box but the referee was having none of it. A flurry of Bonnyrigg corners followed and Nickola Zonjic really should have scored from one of them. At the other end almost straight from the goal kick, Travis Major managed a fierce shot on goals that was parried clear by James Chronopoulos. An end-to-end half did not procure any goals, despite further efforts from Patrick Antelmi for City and Aaron Peterson for Bonnyrigg. Throughout the half, Major suffered a number of knocks that would force him off at half-time for Mitch Mallia, while Brown made a change of his own as he introduced the lethal Younis for Rob Spruce who looked to be suffering concussion after he copped a shot fresh off Majors’ boot flush in the face. It didn’t take long for City to open the scoring after the break, setting the tone for an insane ensuing 75 minutes of fast, attacking football which dazzled the crowd, including a certain Tony Popovic. Substitute Mallia played a superb ball into Antelmi who held the ball up just long enough to play a superb pass to Choi who drove at goal and slammed an unstoppable finish into the roof of the net. In the 62nd minute Choi turned provider and laid on a lovely pass to Antelmi, who narrowly beat the offside trap, to provide the class attacking midfielder with a golden opportunity. Antelmi didn’t pass it up slotting the ball through Chronopoulos’ legs to give City a deserved two-goal lead. With two goals in the bag and playing such good football, it looked a long road back for Bonnyrigg. In fact, it only took four minutes for the White Eagles to restore parity. Younis struck first with a towering header in the 64th minute before Mun-Soo Gil scored almost straight after with a fine strike from outside the box which found the back of the net via a slight deflection. Blacktown City was left shell-shocked, but recovered to close out regulation time with a good effort from a Gibbs free kick, before Antelmi missed a golden opportunity just minutes later. As the game headed for extra-time, that miss would prove costly. With teams stuck at 2-2 after 90 minutes, extra-time did not prove to be a cagey affair. City keeper Nenad Vekic was forced to sprawl at Yuta Kokada’s and then Tynan Diaz’s feet in quick succession after the restart, before Antelmi crashed a beautiful shot into the post just seconds later at the other end. Antelmi’s shot rebounded perfectly for Gibbs who was no more than six meters from the goal but he could only direct his shot into the gloves of a thankful Chronopoulos. Gibbs couldn’t believe he had not scored and his disbelief turned to despair when Younis delivered his usual brilliance at the other end. Having won a free kick on the edge of the area, the lethal forward expertly lined up the shot and with incredible precision curled the ball around an eight-man City wall and beyond a helpless Vekic. It just seemed like it was Bonnyrigg’s night. Ray Miller confirmed as much as extra-time came to a close when he took advantage of some miscommunication from the Blacktown defence to slot home from close range to cap off an incredible game against his old club. Miller was one of many stand-outs from both sides of the day, but few deserved a goal as much as the enterprising midfielder who stood almost head and shoulders above the rest – no mean feat on a day where so many players encapsulated the good side of the game. Special mention must also go to Aaron Peterson, who despite picking up a yellow card which will rule him out of the Grand Final in the 110th minute continued to work diligently to further his side’s cause. It’s just part of the Bonnyrigg spirit that Brian Brown – who typically kept a lid on his emotions post-game – can not help be enamored by. “Trust me, there’s plenty of emotion inside and it was a classic game of finals football,” Brown said. “One thing I’ve learnt with this group of guys is that they never give up. Brown said starting Younis on the bench was more about how well his starting XI had played last week against APIA Leichhardt Tigers FC than anything else. “I think last week they played so well it was hard to change it,” Brown said. A despondent Mark Crittenden put on a brave face after the game but said if his Blacktown City side could get to playing its best football, as it did for much of Sunday’s clash, it would be in the Grand Final. “I’m obviously disappointed with the result but not the performance,” Crittenden said. “We cop a soft goal and a cracker straight after to get it back to 2-2 but the boys didn’t stop. “Patrick hits the cross bar (in extra-time) the ball falls to Gibbs who gives it straight to Jimmy (Chronopoulos) and they go up the end get a free-kick and score. Somehow, someway, APIA Leichhardt Tigers FC found a way to win. It was not pretty at times as the Tigers battled to a 1-0 win over Sydney Olympic FC in the PS4 National Premier Leagues NSW Men’s 1 Minor Semi Final, but it was certainly sweet. A 43rd minute goal from Nicholas Olsen, which found the back of the net via a wicked deflection off Leigh Egger, was the difference between the two sides in a hotly contested fixture. An error-ridden first half was edged by APIA, but in truth it was a poor half as the two sides looked heavily affected by nerves. The likes of Adrian Ucchino and Franco Parisi carried uncharacteristically heavy first touches for APIA, while Scott Balderson failed to inspire Olympic going forward. APIA started the stronger and it was Corey Biczo who was the quickest off the mark, cutting inside and getting a shot on target after just two minutes. Dave D’Apuzzo tested Paul Henderson in the Olympic goal after 10 minutes but was denied by the veteran goalkeeper, while Nathan Elasi tried his luck from some distance five minutes later but couldn’t hit the target. While the chances fell to APIA, it was Olympic who put together the cleaner passing passages but it struggled to turn nice play into real opportunities. Balderson went closest with a cheeky chipped ball over the APIA defence after 12 minutes that just eluded Dimitri Hatzimouratis. Brayden Sorge surged forward from the backline to take a shot after 25 minutes but his shot was off target. It was Olsen who made the breakthrough as the half drew to a close, after a lovely one-two with Biczo that sent the 20-year-old through on goal. The ball sat up nicely for Olsen to hit and he showed no hesitation in doing so, slamming the ball towards goal only for it to be deflected over Henderson by Egger. The half-time whistle blew shortly after and Olympic coach Grant Lee wasted no time in making his desired changes. Go Shirai and William Angel entered the fray for the lackluster duo of Balderson and Michael Gaitatzis. It was APIA that went close from the restart when a long-range hit from Ucchino forced an uncharacteristic spill from Henderson forcing a corner. Michael West, absolutely outstanding in defence, almost got reward for his effort down back from the corner when his header went cloe to finding the back of the net. After that, it was one-way traffic and it was Olympic who was directing it. Brendan Hooper was seemingly unstoppable whenever he ventured forward from the backline. After 55 minutes, he won a header from a corner that was only cleared off the line and then four minutes later he hit the post with a cracking volley. In between the chances, Parisi had a glorious chance to kill the game off when he was well found by Olsen, but he was ruined by a poor first touch. With 30 minutes to play, Olympic threw the kitchen sink, but there was an APIA defender ready to stand in the way at every occasion. West, Adam D’Apuzzo and Sean Symons were absolutely outstanding in defence, as was stand-in keeper Tonu Liiband who filled in spectacularly for Ryan Norval, who broke his hand in training during the week. His best moment came in the 76th minute when he produced a fingertip save to deny in-form Hatzimouratis, tipping the goal-bound strike onto the post. Speaking after the game, match-winner Olsen was delighted with the team’s effort and ability to turn around the game after last week’s loss to Bonnyrigg White Eagles. “We’re really happy. We really grinded this result out which is what we needed after last week,” Olsen said. “We worked on volleys in training this week, so it was good to use it in the game. It sat up well and I just hit it with the right and it got a bit of a deflection and went in. Olympic coach Grant Lee could not believe his side didn’t equalise in the second half, but said it was the product of a poor first half. “It’s very disappointing to lose because we played very well in the second half, but the game was set up in the first half,” Grant said. “We didn’t’ really turn up at the start of the game. The passing was poor, the movement was poor and that killed us. After the first week of finals matches played out at Lambert Park last Sunday, the PS4 National Premier Leagues NSW Men’s 1 Grade 20s competition moves on to the Major and Minor Semi Finals, with Premiers Blacktown City back in action after a week’s rest.  Sutherland Sharks will face Sydney Olympic at Sydney United Sports Centre on Saturday night for a place in the preliminary final next weekend, while on Sunday afternoon Blacktown City will host preliminary semi final winners Marconi Stallions at Lilys Football Centre in the major semi final. Sutherland lost in the first week of the finals but survive to face elimination semi final winners Sydney Olympic in the minor semi final of the Grade 20s competition on Saturday night. Down 2-1 to Marconi Stallions in the 87th minute of their Preliminary Semi Final at Lambert Park last weekend, a late goal from a Patrick O’Shea free kick seemingly had the match destined for extra time, but Marconi scored straight from the restart to sneak past the Sharks 3-2. Despite a stronger second half showing, the Sharks appeared fatigued throughout that match; a weakness that a fast-breaking Sydney Olympic side could be primed to exploit. Olympic went ahead early in their elimination semi final against Sydney United 58 last weekend yet looked set for defeat after a comeback saw their opponents head into the final ten minutes up 4-3, but Adrian Vranic stole the match for Olympic with two late goals in the 84th and 88th minutes. Of the two, Olympic appear to be the form side: they have won nine of their last ten matches, including a 3-2 victory over Sutherland at Seymour Shaw, while the Sharks have lost their last four matches in a row – all to teams still in the finals grouping. After earning a week off for finishing top of the Grade 20s competition ladder, Premiers Blacktown City will be raring to go in their first match in this season’s finals series; a major semi final against Marconi Stallions at Lilys Football Centre. The Premiers are undefeated in their last 14 matches, a run during which they have scored an average of over 3 goals a game. The Stallions enjoyed an almost equally successful run of form as they cemented their spot in second ahead of Sutherland Sharks, but have managed to score more than two goals in a game on only four occasions this season – including last week’s 3-2 preliminary semi final win over Sutherland. The Stallions were ahead by two goals, from Ryan Peterson and Sebastian Malfara, with halftime approaching at Lambert Park last weekend before conceding a late goal before the break, and held on to a 2-1 lead until the Sharks equalised in the 87th minute. With extra time an apparent certainty, Matthew Stewart scored straight from the kickoff to win the game for Marconi. Blacktown City finished six points ahead of the second-placed Stallions on the table, yet were unable to best them in either of their regular season fixtures this year: Marconi held Blacktown to a 1-1 draw at Lilys in round 19, while in round 8 the Stallions edged a 2-1 win at home, courtesy of goals from Zac Sfiligoi and Nikita Andricopoulos. Finals football is hotting up in PS4 National Premier Leagues NSW Men’s 1. After a thrilling weekend at Lambert Park, Premiers Blacktown City FC will enter the fray once again to take on Bonnyrigg White Eagles FC for the right to progress straight to the 2015 Grand Final. South Coast Wolves FC exited the competition at the hands of Sydney Olympic FC, who also remain alive in the FFA Cup, and Grant Lee’s side will be more than hopeful of continuing its good form against an APIA Leichhardt Tigers FC needing to find some inspiration. The Tigers were poor against the White Eagles at home last week, but Rod Williams promised his side would put in an improved showing this week. Rod Williams has a big job on his hand turning around his side for its Minor Semi Final against Sydney Olympic FC. APIA Leichhardt Tigers FC looked a tired outfit against Bonnyrigg White Eagles last week, but perhaps no longer having the buffer of a second chance might just be the spark the Tigers need. In two previous attempts, the Tigers have failed to overcome Olympic, drawing their first encounter and losing the second. Grant Lee’s side played some impressive football against South Coast Wolves and probably should have won by a lot more than the 2-0 scoreline it finished with. Dimitri Hatzimouratis was a constant threat last week and with APIA struggling for defenders, having lost Brett Studman before kick-off last week and Adam Griffiths at half-time, he could be the difference again. Go Shirai should be relatively fresh having only played part of the second half as well. Nathan Elasi provided some bright moments last week but will look to be more clinical this week. Blacktown City FC should be fresh and raring to go after a week off to recharge the batteries after claiming the 2015 Premiership on the final day of the home-and-away season two weeks ago. But freshness is no substitute for sharpness in a Major Semi Final and Mark Crittenden will have to ensure his side is more than sharp for the challenge for Bonnyrigg White Eagles FC on Sunday. Brian Brown’s men were very impressive in the way it controlled and physically dominated the contest against APIA last week. No doubt some of the White Eagles will be more than sore after such a bruising encounter, and moreover, Brown will be sweating on the fitness of David Vrankovic who was a late scratching from his line up last week with a back complaint. Robbie Younis should be fresh after sitting out most of the game, only coming on late in the second half to convert a penalty and his partners in crime up top Yuta Kokado and Aaron Peterson showed no ill-effects at full-time. While the White Eagles were impressive, they will know they face an entirely different challenge in Blacktown on Sunday. On form, it would be hard to mount an argument against Blacktown, with steel in defence through Matt Lewis and Zach Cairncross, class in the middle from Patrick Antelmi and plenty of quality up front in Joey Gibbs, Danny Choi and Travis Major. The latter two notched a brace each in their last outing against Sutherland Sharks, while Gibbs himself has just come back from injury and with some precious game time under his belt before the end of the home-and-away season, could be back to his lethal best on Sunday. The two teams have reached stalemates on the last two occasions they have played, drawing 2-2 at Bonnyrigg and 1-1 at Lily’s in rounds four and 15, but one of them will have to win on Sunday with a spot in the Grand Final on the line.